Every woman loves a good handbag. They add some style to your entire ensemble and help convey wealth or status in a way that other accessories simply cannot do. In large part that has to do with the sheer size of a handbag compared to something smaller like a necklace or earrings, but another part has to do with the sheer cost of handbags. 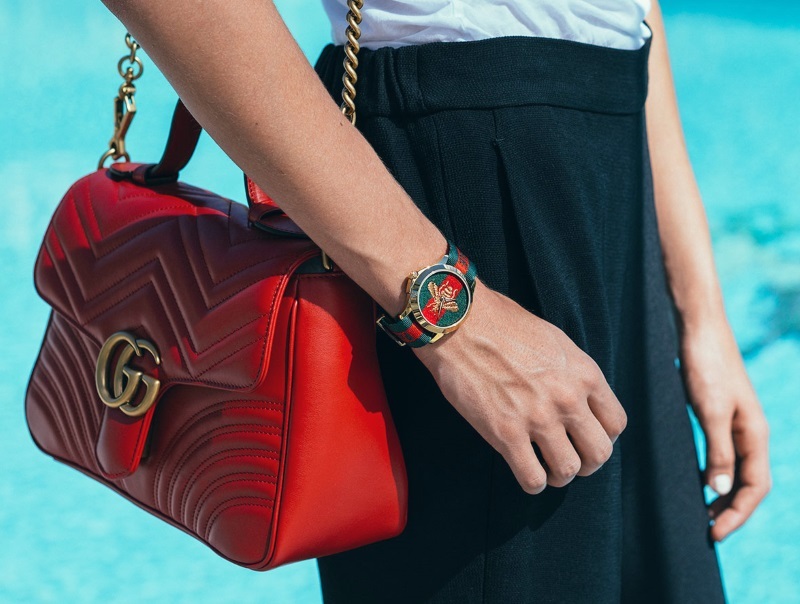 If you want a really good handbag, it will cost you at least $1000 and today, I am going to talk about one of my favorite handbag companies that are clearly into that price range: Gucci. Gucci has a relatively long history of high-quality handbags and that is clearly evident in the prices that they charge. However, what I can say with absolute certainty is that for those of you women willing to pay that sort of price, you will not be disappointed with the quality of product that you receive. Most of the products that I have bought in the past are made out of leather and they absolutely feel soft, smooth and simply luxurious. However, Gucci also offers a host of other materials such as canvas or suede as well. Another relatively minor factor that plays into my love of Gucci is the way they handle shipping and packaging of goods when you order online. I’ve ordered online in the past, and what I love first off is the fact that they are typically shipping straight from Europe. When you get the shipment tracking info you know right away that your product is coming from Europe rather than some country in Asia which would otherwise imply that your product is cheaply made. Even if the product was shipped from somewhere in the United States, it could still potentially originally made in Asia, so the fact that you know right from the get go that your product is being shipped from (and therefore was built in) Europe puts your mind at ease that you are getting a great product. And when the product finally arrives at your door, the packaging is simply superb. In terms or protecting your costly investment, the handbag or purse is always wrapped in a box filled with bubble wrap along with shipping paper to protect the actual bag from scratches during shipping. There is definitely a lot of perhaps unnecessary bubble wrap and shipping paper if I am being completely honest, but that is obviously preferred if it guarantees that your product arrives in perfect condition, which has always been the case for all of my orders from Gucci. When a company goes through all of these precautions for online orders that often involve a sense of uncertainty when it comes to receiving your product exact as ordered, you know that you can trust them in general, and that is 100% the case with Gucci, at least as far as the few times I have bought from them online. Another significant thing that I love about Gucci is the fact that they truly deviate from your typical single color bags, which is not always the case for other companies that sell handbags or purses. In particular I really love their floral bags that are basically bags that are covered in floral printing through the entire outside of the bag. Although this sort of pattern can often come across as cheap and poorly done, Gucci does a really nice job of making the floral patterns look absolutely beautiful. This beautiful designs, when coupled with the leather material of the bags make them look amazing. And part of the reason that I love these sorts of bags so much other than the fact they are beautiful in their own right is because they actually stand out compared to other bags – not only other Gucci bags but other bags of other big-name brands as well. This means that when you find a bag that you absolutely love, you can almost guaranteed use it all the time and not have anyone else have the exact same bag as you. And the uniqueness of the bag itself will draw plenty of attention. And when I say attention, I not only mean from girls who are just jealous of your amazing bag, but also interest from guys who see you standing out from all of the other girls – it’s a double win in this case! Now to be honest, I don’t really have much of an opinion on any of Gucci’s other product lines, which include all sorts of things such as clothing and shoes, not only for women but for men as well. All I can say with certainty is that their handbags and purses and all of those similar accessories are totally on point and makes Gucci a winner in my book. If you need a brand new handbag to make yourself feel beautiful again and to help you stand out in the crowd, you can’t go wrong with Gucci.